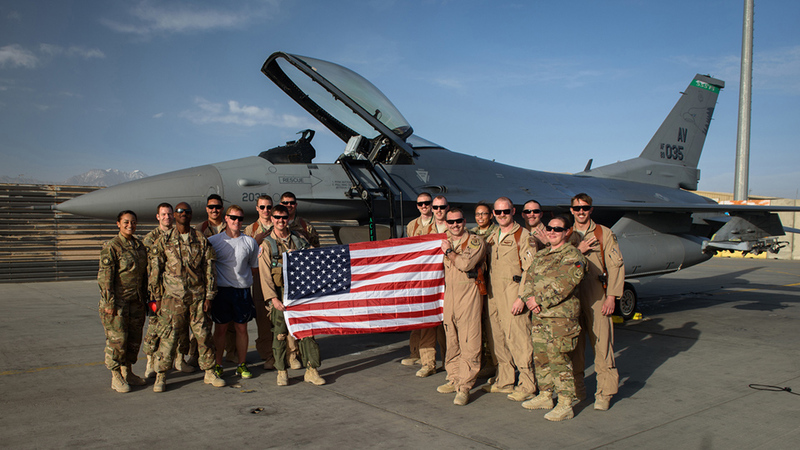 Lt. Col. Vince O’Connor, the commander of the 555th Expeditionary Fighter Squadron, holds the American flag with members of the 555th EFS at Bagram Airfield, Afghanistan, May 19, 2017, after surpassing 2,000 career flight hours. (U.S. Air Force photo by Staff Sgt. Benjamin Gonsier).